Despite the date, we’re back from last week’s trip into the spooky zone. Well, sort of. This week we’ve got one spooky game, but it’s flanked by a surreal adventure and a fresh take on a classic genre. That’s right, we’re firing on all cylinders with a massively varied set of experiences for you. Surrealism is a hard style to pull off. At its best you’ll find Lynchian masterpieces but more often than not you’re left with mid-2000s “LOL random xD” nonsense. Norwood Suite leans more toward the former than the latter. If Norwood Suite looks familiar to you, it’s because it’s the follow up to 2015’s similarly weird Off-Peak. If you never played Off-Peak 1) it’s free so do that and 2) you’re in store for a great, nonsensical time. Norwood Suite continues this tradition of thought-provoking design but adds so much more to the formula. Obviously I can’t talk too much about the game without spoiling it, but if you’re a fan of the first game you’ll find plenty to love inside of the Norwood Suite. When was the last time you played a text adventure? When was the last time you played a good text adventure? What was once the most popular genre now feels like more of a sideshow distraction. The gang at 12East games feels like the first team I’ve seen in a long while that has a genuine understanding and love of the genre. Sure Trackless is mostly a first person adventure, but to discount the text elements of the game is ridiculous. The game limits your input to verbs which takes out all of the frustrating guesswork that has plagued the genre since its inception. The first person exploration also serves to give the player something to look besides white text on a black screen with some really pretty drawn visuals. If you thought last week’s post on spooky games was a bit too early let me offer Midnight Scenes to you as an apology. 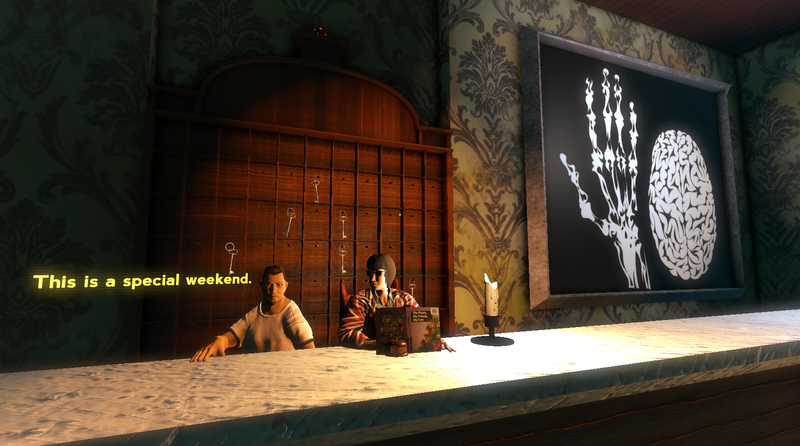 If you prefer your halloween games to be unsettling rather than scary, this one’s for you. Technically this game is a point and click adventure but it shares more with the Twilight Zone than Secret of Monkey island or Full Throttle. You play as an unnamed driver whose jaunt down the freeway is blocked by some downed power lines. What follows is a meditation on tone that nails everything it tries. I played the game late at night and ended up gasping a few times over the course of Midnight Scenes’ 20 minute run-time. Is there anything we’ve left off of this week’s list? Let us know what you’ve been playing in the comments below.